The company didn’t exactly confirm a new comic focusing on its Netflix hero this weekend, but they came pretty damn close to it. Without saying anything, Brian Bendis in particular has been having an itch to get back to the character and he’s walked me through what the next storyline would be and it’s awesome. Once he’s got ‘Civil War II’ off his back, it’s not impossible that we’d say lets do a Jessica book, whether it’s ‘Jessica Jones’ or ‘Alias’ or ‘The Pulse’ of we come up with another name for it. Definitely something we want to do, that’s more certain than the Kate Bishop book. That Kate Bishop book he mentions? 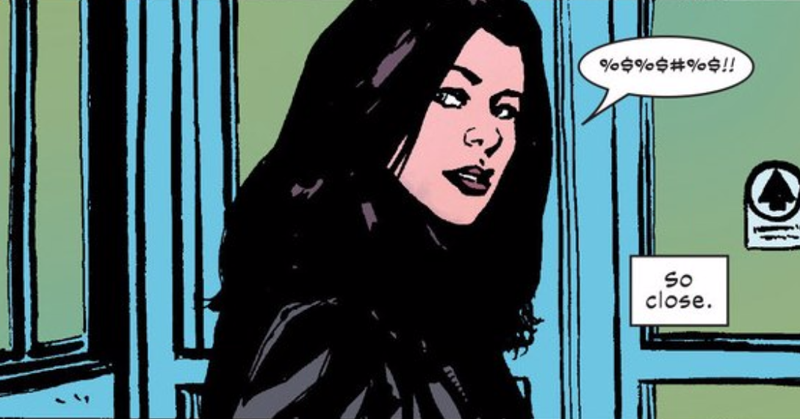 Brevoort says at least an announcement, or even a release, should probably be happening “by this time next year.” So Jessica Jones getting her own starring series again—even with her original writer, Brian Michael Bendis, seemingly returning—doesn’t just sound like it’s on the cards but already in the works. It should come as no surprise that Jessica would get a new book in the wake of her extremely successful introduction to the Marvel Cinematic Universe late last year. It’s more surprising that it’s taken this long to happen—she is, currently, the only one of Netflix’s “Defenders” without an ongoing series in Marvel’s comics—her only appearances in Marvel’s updated line-up have been in a few panels of Power Man and Iron Fist (where she is not too fond of her husband’s foul mouth). Jessica hasn’t starred in a leading role in a comic for years, save for a one-shot tie-in to the Netflix show. But with Bendis back on board (let’s hope co-creator and Alias artist Michael Gaydos can be, too! ), it’s good to see Jessica being put in the spotlight in the comics once again.